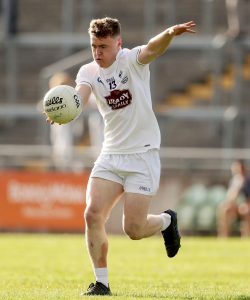 DANIEL Flynn’s wonderful run of form in a Kildare jersey through 2018 has been rewarded after he was named as the Senior County Footballer of the Year of the Kildare GAA awards night in the Osprey Hotel on 17 November. Flynn scored 3-10 in the league and followed that up with 4-11 in the Championship during his best scoring season for Kildare. Included among those seven goals were a number of goal of the season contenders and the Johnstownbridge man entertained supporters and tormented defenders equally throughout the year. His season came to a premature end when he was sent off against Galway at St Conleths Park but this award is fully justified for his consistent display. Hurling goalkeeper Paddy McKenna has another award to add to his growing cllection after he was named Senior County Hurler of the Year. Just last week the Clane man received his award for the Christy Ring Cup Player of the Year and he is further recognised for a string of spectacular displays between the posts for Kildare. Perhaps the least surprising award goes to Jimmy Hyland U20 County Footballer of the Year. It says much about the Ballyteague man’s performances that even among a squad full of quality young players at the top of their form he was head and shoulders above them all. He was picked as man of the match in the Leinster Final, the All-Ireland semi-final and the All-Ireland Final itself. 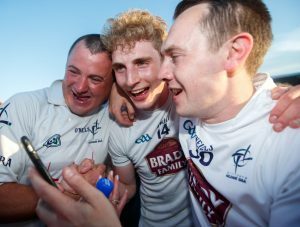 As humble as he is talented, Hyland thrilled Lilywhite supporters as Davy Burke’s team brought the first All-Ireland title back to the county since 1965. It was a good year also for county junior team and leading the way for that team was captain Graham Waters who is recognised with the Junior County Footballer of the Year award. The Raheens man was the heartbeat of the team and he combined defensive duties with driving forward runs from his wing back position and played the role of inspirational captain to perfection. On the club scene, Aaron Masterson’s year just continues to get better after he was picked as the Senior Club Footballer of the Year. The 20-year-old Moorefield midfielder was superb during the U20s run to All-Ireland glory and carried that form into his club jersey. Alongside Daryl Flynn in the county champions’ engine room, they have the perfect blend of youth and experience but Masterson’s high-fielding and outstanding foot passing ability made him stand out. Two Mile House’s Aidan Casey takes the Intermediate Club Footballer of the Year gong after he helped his club to their first ever intermediate title. Casey has been a consistent performer for his team for many years, and right throughout this season, but perhaps has never been better than in this year’s final against Monasterevan. He scored 10 points that day and was once again the go to man in attack for Two Mile House. Milltown captain Colin O’Shea picks up the Junior Club Footballer of the Year for his displays as his team battled their way to their first county title since 2008. Milltown were the best side in the grade through the year and O’Shea led the way from half back. He was never needed more than in the county final when Milltown found themselves a long way behind at half time but a nerveless second half penalty by O’Shea went a long way to turning that game around. Tom Fitzgerald, one of Celbridge’s most experienced hurlers, is named as the Senior Club Hurler of the Year. It was a season when Celbridge had to dig deep on a number of occasions and Fitzgerald proved that there are few better hurlers around when you have to go to battle. 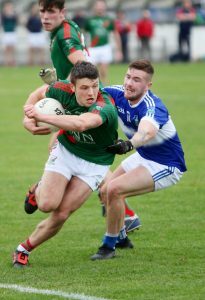 His second half goal in the county final against Ardclough wasn’t the prettiest scored in this year’s Championship – but few were more important. The winner of the Intermediate Club Hurler of the Year, Ciaran Tobin of Naas, gave an exhibition of score taking in this year’s final as his team held off a late challenge by Maynooth. He scored well and particularly in the second half landed some at crucial stages as Naas retained their title at this grade. Naas may well have claimed a county junior title as well were it not for the intervention of the Junior Club Hurler of the Year, Declan Keane of Kilcock. On a miserable, wet, rainy day, Keane was in inspired form and two huge points in the last quarter rounded off a terrific second half performance by Kilcock as they came from behind to lift the title.